December 16 is the 350th day of the year(351st in leap years) in the Gregorian calendar.There are 15 days remaining until the end of the year. 1689 – Convention Parliament: The Declaration of Right is embodied in the Bill of Rights . The Merovingians were a Salian Frankish dynasty that ruled the Franks for three centuries in a region known as Francia in Latin, beginning in the middle of the 5th century. Their territory largely corresponded to ancient Gaul and the Roman provinces of Raetia, Germania Superior and the southern part of Germania. The semi legendary Merovech was supposed to have founded the Merovingian dynasty, but it was his famous grandson Clovis I who united all of Gaul under Merovingian rule. Manuel III Megas Komnenos was Emperor of Trebizond from March 20, 1390 to his death in 1417. 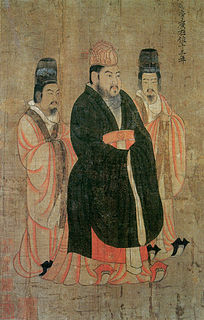 Chen Shubao, also known as the Final Lord of Chen, posthumous name Duke Yáng of Chángchéng, courtesy name 元秀; Yuán Xiù), nickname 黃奴; Huángnú, was the last emperor of Chen China, which was conquered by Sui China. Richard Upjohn was a British-born American architect who emigrated to the United States and became most famous for his Gothic Revival churches. He was partially responsible for launching the movement to such popularity in the United States. Upjohn also did extensive work in and helped to popularize the Italianate style. He was a founder and the first president of the American Institute of Architects. 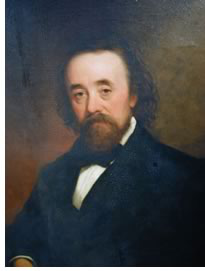 His son, Richard Michell Upjohn, (1828-1903), was also a well-known architect and served as a partner in his continued architectural firm in New York. Haggai was a Hebrew prophet during the building of the Second Temple in Jerusalem, and one of the twelve minor prophets in the Hebrew Bible and the author of the Book of Haggai. He is known for his prophecy in 520 BCE, commanding the Jews to rebuild the Temple. His name means "my holiday." He was the first of three post-exile prophets from the Neo-Babylonian Exile of the House of Judah, who belonged to the period of Jewish history which began after the return from captivity in Babylon. 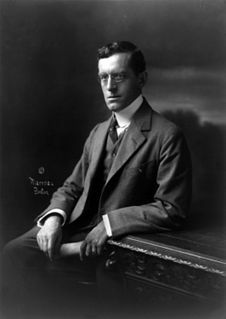 Ralph Adams Cram was a prolific and influential American architect of collegiate and ecclesiastical buildings, often in the Gothic Revival style. Cram & Ferguson and Cram, Goodhue & Ferguson are partnerships in which he worked. Together with an architect and artist, he is honored on December 16 as a feast day in the Episcopal Church of the United States. Cram was a fellow of the American Institute of Architects. ↑ "Public holidays in South Africa". Government of South Africa. Retrieved 3 May 2017. ↑ Palanco, Fernando (2002). "Diego Silang's Revolt: A New Approach". Philippine Studies. 50 (4): 518, 529. Retrieved 18 November 2018. Wikimedia Commons has media related to December 16 .